Table Top Bread Slicer Machine Manufacturer in India, Bread Slicer Machine Supplier in India Bread Slicer Machine in India. 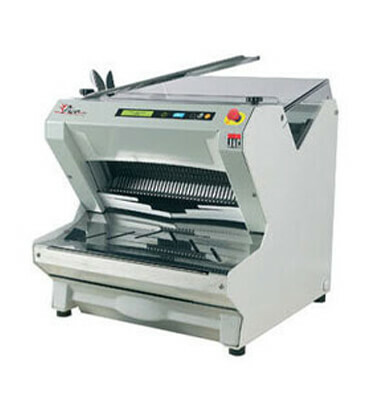 We provide a highly efficient and standard market price of bread slicer in India, it is designed for the shop counter. A safety guard devise is designed especially for the countries that have strict safety regulations. it is available to the customers in varied technical specifications as per the information laid down by them. Further, clients can avail this product at an affordable price within stipulated time frame.